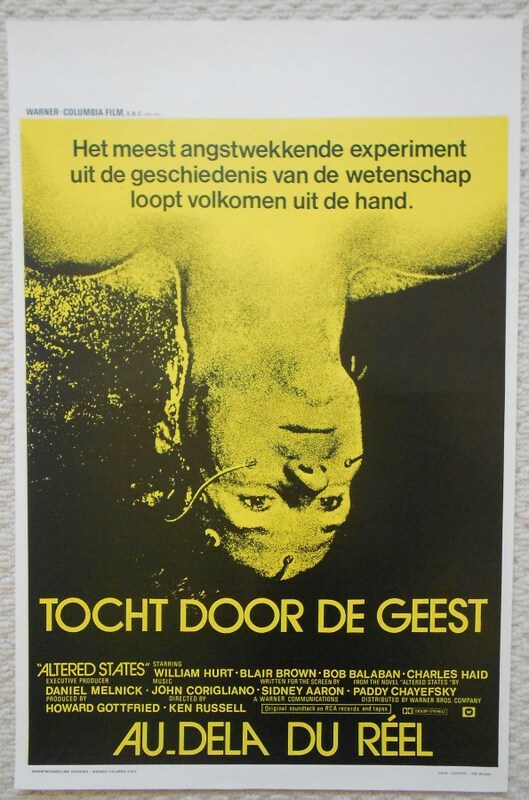 Original 1980 Belgian Movie Poster from the Ken Russell film ' Altered States ' featuring William Hurt and Blair Brown. 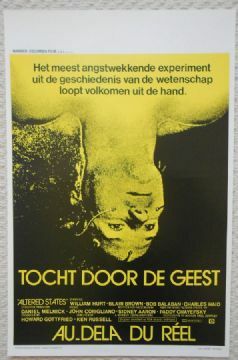 This poster is in Fine- condition and measures 21.25" x 14". Great image! The poster was once folded but has been led flat for a very long time.